Women weightlifters challenge stereotypes: "It's cool to be strong"
- it's about competitive lifting. - it has a great before and after training picture of one of the women. I often get the "I don't want to bulk up" concern. It's not going to happen, generally, unless you make "bulking up" the focus of your training and diet. But side-by-side pictures of a woman putting on 20 pounds and leaning out and looking nothing but better = a great example to show beginning female trainees. - It has this great quote: "[ . . .] I've learned that strong feels so much better than skinny [. . . ]" Yes, yes it does. Strong feels better than fat or skinny, and I've been all three at one time or another. Strong is capable, and capability is attractive to yourself and to others. The article does conflate "weightlifting" with "powerlifting," however. 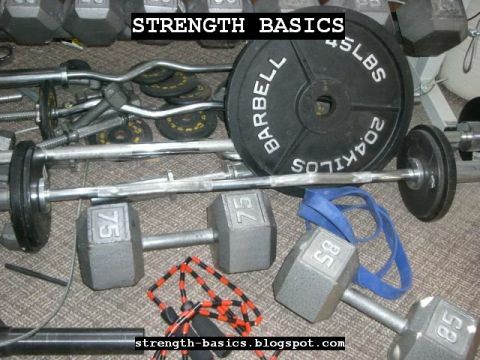 Lifting weights, or weight lifting, are training practices. "Weightlifting" is an Olympic sport, and it's not the same as powerlifting, which is a non-Olympic and very different sport. It's okay, though, I did the same for years myself.